Garden Lovers, of all the gardens I’ve made its not often I can show you one that just seems to give more every year. Ian & Noelene Dawes Cremorne rooftop is the exception…. 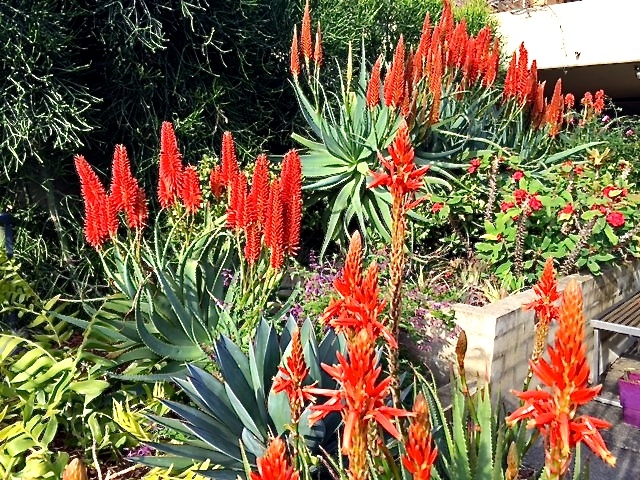 and do you know, you can see Better Homes & Gardens presenter Jason Hodges show how easy this unirrigated space, made from exciting DGN succulent and water storing plants is roaring away this winter. Hope you can tune in for ideas in your own garden.